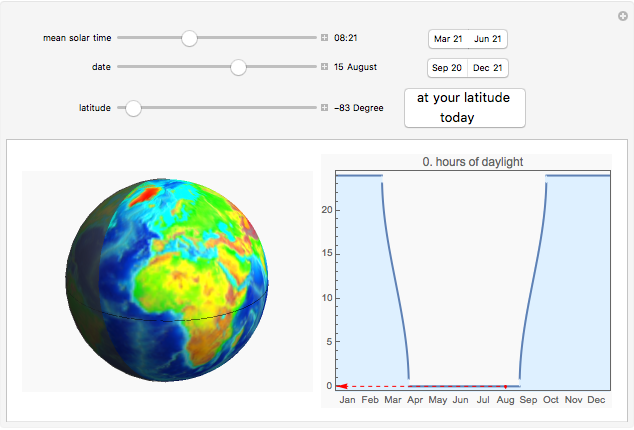 This Demonstration shows the hours of daylight for a given latitude and the night and daylight halves of the globe for a given date and time. 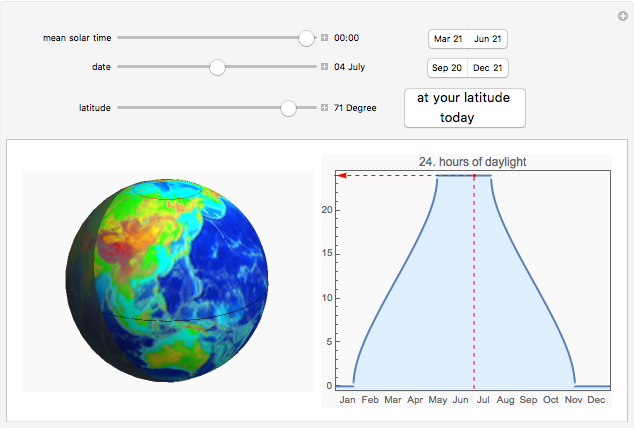 The hours of daylight are calculated as the center of the sun's disk passes the horizon and its altitude is zero. "Marine Geology & Geophysics." National Geophysical Data Center. (Jun 21, 2011). www.ngdc.noaa.gov/mgg/image/2minrelief.html.